Trying to find a destination that's unique to everyone in a group of well-traveled friends is never easy. But this trip to the "Big Easy" was a big YES for these three couples. Since all of us are in our late 30's, the idea of going to New Orleans during February for Mardi Gras is of no interest to us. We do however live in the Midwest, and it's always nice to plan a weekend to escape the Winter. We choose early December, just before the holidays when there is a festive energy in the air and the difference in climate is still relatively extreme. Affordable non-stop flights to New Orleans can be booked from 53 US cities. Direct from Minneapolis you can fly either Spirit or Delta and the MSY airport is regional hub for Southwest Airlines. There is no need to rent a car because the city is very walkable, offering easy access to pedicabs and totally Uber friendly. France explored, established and controlled much of the western North American territory, including Louisiana, until 1803 when Napoleon Bonaparte decided to sell the area to the United States to fund his war with England. The Louisiana Purchase doubled the size of the US and cost the government only 15 million dollars. Today the French influence still saturates the area's history and 7% of the population in the French Quarter speaks French at home. That's a huge percentage when compared to the overall .4 percent of the US population still speak French as their primary language. As part of Historic Hotels of America and Preferred, Hotel Monteleone checked all our boxes for centrally located, historic luxury. Hotel Monteleone is also known for being one of New Orleans premier haunted properties. The hotel is intimately sized, offers a rooftop pool, and hosts live music Wednesday - Sunday in the lounge. Even if you are not staying at the Monteleone, the 65 year old Carousel Bar is a must see. A second property we love in the French Quarter is the historic Maison De Ville. Once a private residence, this charming boutique hotel feels more like a bed & breakfast, with its galley balconies, private courtyard and quaint common areas. If the energy of the French Quarter is not where you want to be overnight, let me assure you that you don't have to have kids to appreciate The Constance Street Residence, available exclusively through Kid & COE. This property is nicely located in the quieter Garden District neighborhood near the cities many museums and the great shopping of Magazine Street. 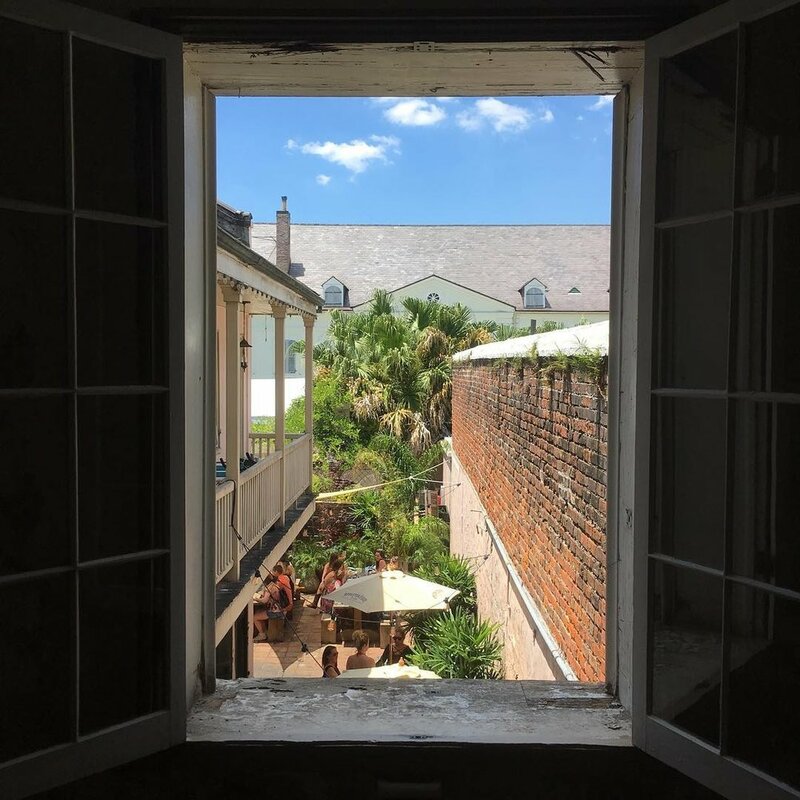 It's less than a mile from the St. Charles Street Car line, which runs beside historic architecture and live oaks, all the way into the French Quarter. Alternatively you could be in this gorgeous 2-bedroom townhome on the other side of the French Quarter close to the Bywater neighborhood, the energy of Frenchman Street and the live music near Washington Square. Boutique Homes offers only a handful of the most amazingly designed (and often very affordable) properties worldwide, this being the only one in NOLA. Where to start in this vibrant city? Whatever combination of exploration you do, inevitability you will find yourself captivated by the city's multi-cultural heritage. Almost immediately you'll be surrounded by the impressive street musicians and sounds of local jazz. If you really want to take it all in, make an effort to experience some live music while you're in town. This doesn't require you plan ahead, but it's never a bad idea to do the leg work and purchase concert tickets before you go. Start with the schedules at Tipitina's Chickie Wah Wah and Preservation Hall. If you prefer to be a bit more spontaneous, Bacchanal hosts consistently good live music seven days a week. It's hard to escape New Orleans without taking note of its unique architecture and storied past. In order to best absorb the city's rich history, I suggest you book a tour that's in line with your personal interests. 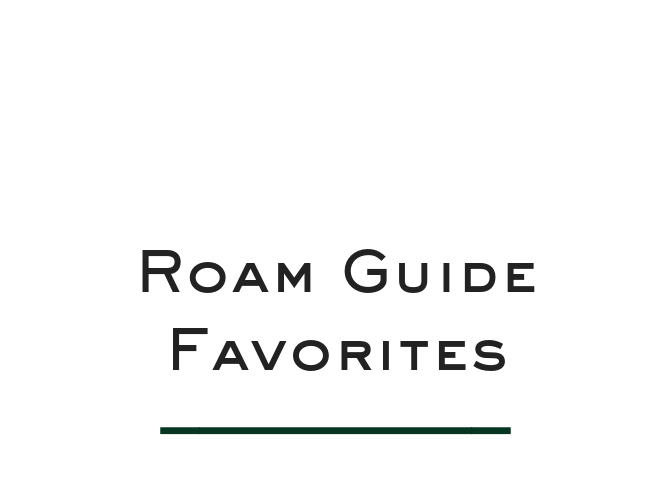 I researched the gamut, including the best tour for hearing Pirate legends, the best for learning the Culinary significance of Creole & Cajun cooking, and the best for Military History buffs. Ultimately, our group gravitated towards the voodoo paranormal so we narrowed in on local medium and author Bloody Mary. As you'll find on her website, she offers a lot of different tours so it's hard to pick just one. With only two nights in NOLA, we booked the Haunted Pub Crawl first and then focused our energy into planning a custom tour that combined a visit to a cemetery with a private ghost hunting experience -- two tours that you would have otherwise had to book separately. RTip: Our specialty tour was led entirely by Bloody Mary herself, and if she's available I encourage you to insist on the same. As was the case frequently during our stay, we returned to the hotel between activities, so it was no inconvenience to be picked up at the hotel for our custom van tour with Bloody Mary. In the case of the Pub Crawl, we met our guide on foot at Lafitte's Blacksmith Shop. Because that tour started at 4:30 and kept us entirely in the French Quarter, a late dinner reservation was very easy to plan. Although keep in mind, good dining within the French Quarter can be tough so you'll want a reservation. We choose Kingfish but were underwhelmed, so next time we'd book a table at Balise Nola or Bayona instead. Oh Bayona, you’re on the list! On our last morning before returning home, we were able to round out our phenomenal exploration of NOLA with a psychic reading at The Bottom of the Cup. The ladies here know what they are doing and even provide a CD recording of the experience. The men in our group opted instead to spend a 1/2 hr. drinking coffee on the sidewalk patio at Cafe Beignet just around the corner. Bloody Mary also offers psychic readings, group seance and voodoo rituals. As a dedicated priestess & healer, she provided an aura cleansing and alter blessing for our friend who was celebrating a big birthday. She even gifted him his very own voodoo doll (affectionately named, "little homey") to use as spiritual tool in his life after Nola. I think he's still in a box in the closet. While Bourbon Street offers very little to those not interested in bringing home souvenir glassware, I would recommend you follow the tourists to Jackson Square for a famed beignet at Cafe Du Monde. Outside of the beignet's, Jackson Square is a wonderful place to browse the work of local artists who set up around the perimeter of the park. Look for our favorite Vaeda Baty's fine art and mixed media pieces. RTip: For your chance to enjoy oysters Benedict for breakfast, put your name in at Restaurant Stanley and wander the art exhibits while you wait for a table. 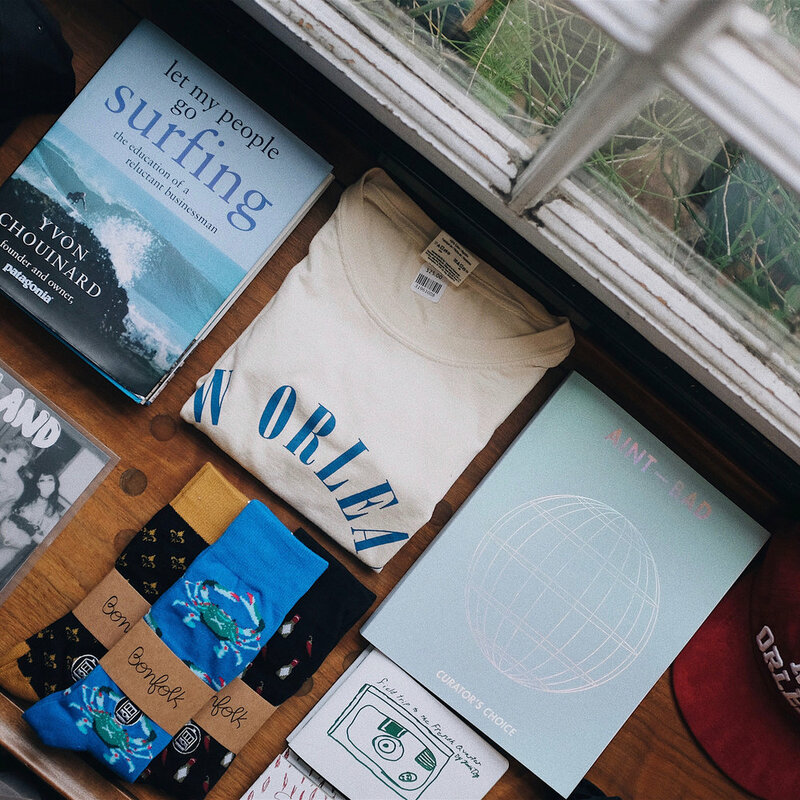 There are a lot of surprise opportunities to shop in Nola and we went out of our way to track down the best pop-up markets. We enjoyed shopping for original art and handmade goods at both, The Freret Street Market and The OCH Art Market, which operate occasionally on Saturdays. 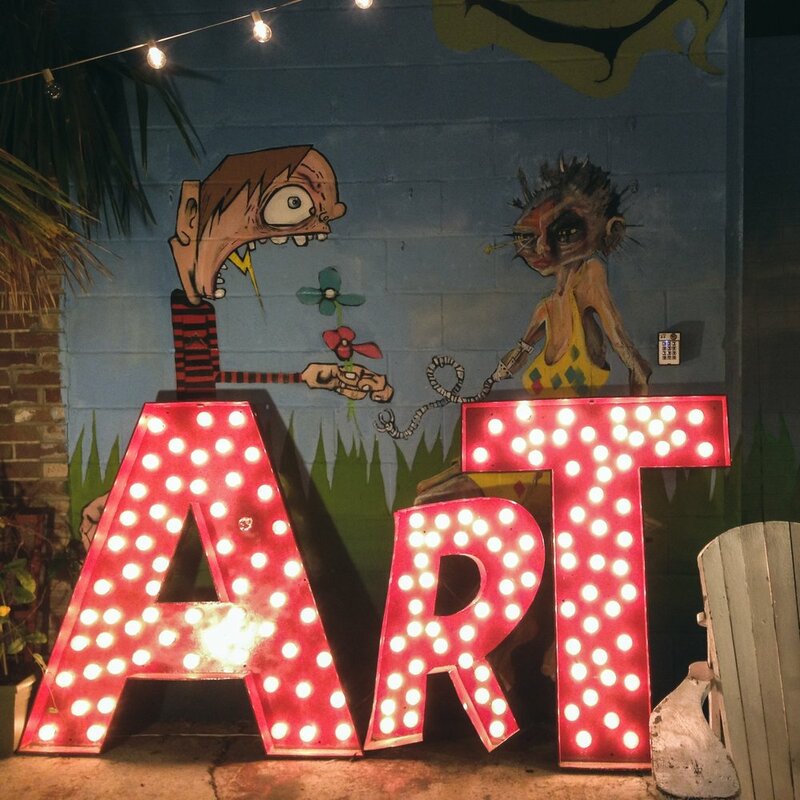 And we highly recommend you check out the newly imagined Frenchman Street night market, Palace Market, which is open every night of the week. Vendor highlights include, Mad Darling & Coconola. RTip: is to wander The Art Garage (when it's running) before stopping at the The Spotted Cat for some live jazz. More traditional shopping can be found on Magazine Street in the lower Garden District, where there is a nice concentration of shops between Jackson and Louisiana. My favorites in that area are, Defend NOLA (awesome t-shirts), Perch and Monomin. Rtip : Our male shopping companions took a much needed drinking break at, Rendezvous Tavern but if you find yourself hungry while shopping along Magazine St. a nice weekend brunch option is, Coquette. 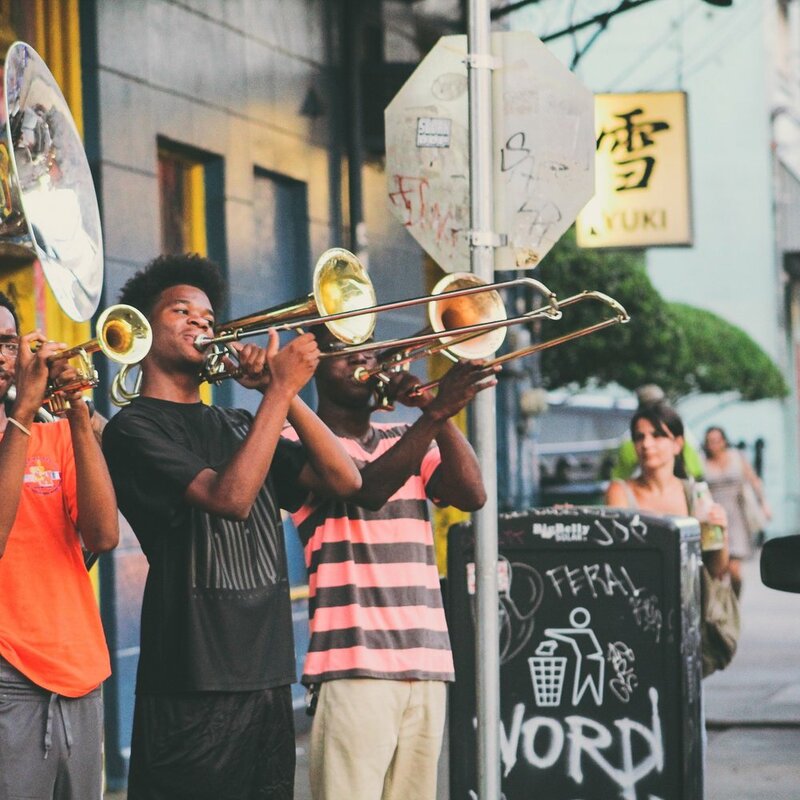 For the ultimate combination of food, drinks and music in New Orleans, make a stop at Bacchanal. It's set up so you shop your wine, cork your bottle and head out back with everything you need to relax and enjoy the music. The food is super yummy and great for sharing. They don't take reservations and there is a strict over 21 policy. Tables are first come first serve, but there is always standing room somewhere so you should feel comfortable asking someone to scoot over and share their table. This is, as they say, NOLA's best backyard party. OurSommSays: Order a rosé , any rosé will do;) Bacchanal stocks a consistent rotation of affordably priced boutique wines. When it comes to restaurants in New Orleans no place beats Cane & Table. The ambiance, style, service and taste is tough to beat. You just can't make a mistake when it comes to a shared order of small plates. The cocktail menu is really something to get excited about, and honestly hard to switch away from when others move to wine. A reservation is essential, and its a good idea to request being seated outside at a picnic table where you can linger magically among the twinkling lights and laughter of the patio. It's central to everything and easy to slot into your evening with a little forward thinking. Of course we enjoyed equal amounts of food and alcohol in New Orleans. We alternated spice in our food with spice in our drinks, and although New Orleans is credited with inventing 12 original cocktails, it's the bloody mary that gets NOLA the most press in this modern day, craft cocktail world. The best bloody mary we found was at Jimmy J's Cafe, and the secret is the pickled green beans. This is also a great spot to grab breakfast, but prepare to wait if you want any of their fabulous shrimp and grits. RTip: You can buy everything you need to re-create these unique bloody mary's at home from Magnolia Sugar and Spice on Royal Street -- the same block as Mr. B's bistro and Hotel Monteleone. Another great spot to grab a "bloody" is at Mr. B's Bistro. They offer $1.50 drinks over lunch during the week. For a more casual experience, order the BBQ shrimp and sit at the bar. The bistro is conveniently located across from The Monteleone, so we became regulars. Now I have to say, the not to be missed, most incredible (and affordable) boozing destination in New Orleans has to be Barrel Proof in the lower garden district. Everything on the cocktail menu is amazing and they have a small "whiskey pairing" kitchen open Wednesday through Saturday. On Sunday through Tuesday, they feature tasty options from a rotating variety of pop-up kitchens, all detailed in their instagram feed. This bar is worth adding to your itinerary for a cocktail on your return route from Magazine Street, or even better for an evening entirely on it's own. Staying central at night allowed us time to check out the respective hotel bar scene at The Roosevelt, where the holiday decorations warranted a tour of their own. Inside, The Sazerac Bar is known for their namesake libation, but we recommend ordering Huey P. Long's classic Gin Fizz instead. After all that drinking your going to need a good cup of coffee. Although a chain, PJ's is local to Louisiana and with 27 locations in NOLA alone, they're certainly there when you need them. I suggest bringing your favorite layer, great walking shoes and some Tylenol. Another great idea is a padded insert for your purse so you can safely tuck away all the homemade hot sauce and pickled green beans you purchase on your trip. Next time, we'd venture a bit further to visit The Evergreen Plantation, the South's most intact, historic plantation. This privately owned working sugar cane farm is only 50 miles outside New Orleans, gives daily tours and contains 22 slave cabins.